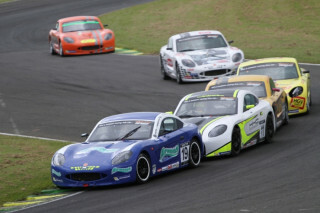 Jack went to Croft in North Yorkshire for rounds 9 and 10 of this year's Ginetta Junior Championships with a 66 point advantage in the title race and aiming to maintain or extend that lead. Practice saw Jack 4th fastest as he and the team tried to perfect their race set-up, while qualifying yielded 3rd on the grid for both races. 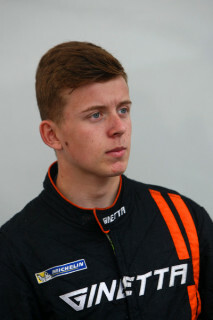 Away from the start of the first race, on Saturday afternoon, Jack slotted into 3rd place before passing Lando Norris for 2nd on lap 3. He then closed the gap to leader Kames Kellett, with Norris tagging along just behind Jack. On lap 6 Norris relegated Jack to 3rd again and, despite the front 3 remaining close, Jack could not make another move and had to settle for 3rd and setting fastest lap. 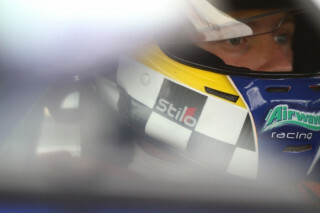 In Sunday's televised race, Jack again made a steady start and slotted into 3rd at the first corner. 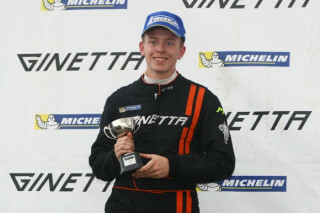 Norris had grabbed the lead and this time it was Jamie Chadwick who sat in 2nd ahead of Jack. The gap between Norris and his pursuers began to grow and Jack could see that, so he started to look for a way past Chadwick. This he managed with a fabulous move to the inside as they went into Sunny In, emerging with 2nd place and setting off after Norris. He closed that gap and by lap 5 was right with the leader, but no clear opportunity could be found for an overtake so Jack took a very close 2nd. After the races and with time to reflect, Jack was fairly happy with his weekend especially as those two solid podium results mean he now leads the title race by 93 points. 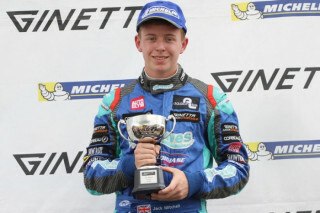 Jack would like to express his Thanks again to his sponsors and to his JHR Developments team for their preparation and is now able to enjoy the 'summer break' before the second part of the season gets underway at Snetterton on 2nd and 3rd of August. ©2019 Jack Mitchell Racing. All Rights Reserved.